The Paleo Cleanse is one hot topic right now with so much information out there often contradicting. I did this myself and the this article documents the four weeks I did on the Paleo cleanse. This resource is something I would have liked to have when I was first beginning on my Paleo journey. In the previous article, we looked at the origins of Paleo. Today let’s take a look at preparing ourselves to begin our Paleo journey and that is rid our bodies of all the toxins. This is the first step that I would recommend taking when you begin your Paleo journey. This is what I wished I did back then but I didn’t have the knowledge nor the support to do it this way. This is an industry that is so ripe for scammers, just take a walk down the supplement aisle and you will see a whole barrage of absolute crap designed to make q quick buck off you. So who can be trusted? Where does the truth lie? I would say from my experience, it lies somewhere in the middle. Although it’s true that your body is perfectly capable for detoxifying itself without the need for useless supplements, we cannot dismiss the benefits for certain agents which I later discovered. 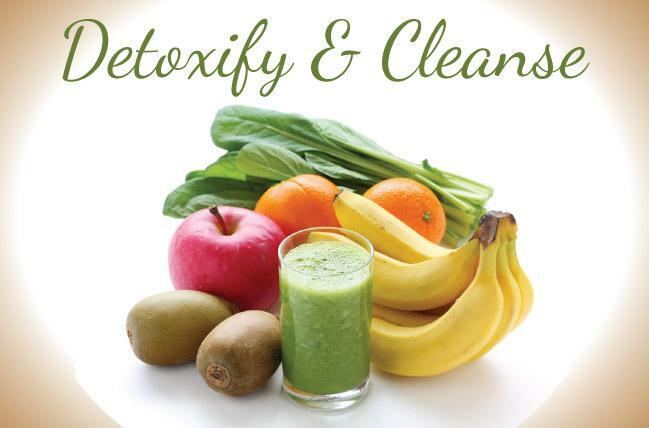 In a medical sense, detox means to remove a chemical or substance from the body completely and that is with no traces left behind. Perhaps the best way to look at this is a heroin addict, the process of detoxification here is to prevent the said addict from any heroin. The body starts removing the chemical and gradually learns how to function without it. The above goes for other addictions such as alcohol, cocaine etc. Now, did you know that toxins in modern foods can build up in your body just like the above. These toxins can cause disorders such as diabetes and other modern day ailments. Our bodies can also build up a dependency for these toxins causing cravings. I used to have strong cravings for my local Chinese and I have a very good feeling that this was due to my dependency to msg. There’s hope, your liver is your best friend. The blood in your system goes through your liver so straight from your stomach, intestines and even brain it goes into your liver where the liver sorts through everything in the blood stream sort of like a post office sorting station. All the bad stuff is prepped for excretion and the good stuff is kept behind. Now the livers partner in business are the kidneys which is sort of like a satellite sorting plant which aids in separating the good stuff from the bad. Don’t believe the scare crap out there about toxins getting stuck in your colon and causing problems and need to be flushed out by some special dandelion petals, this doesn’t happen and there is no scientific backing. 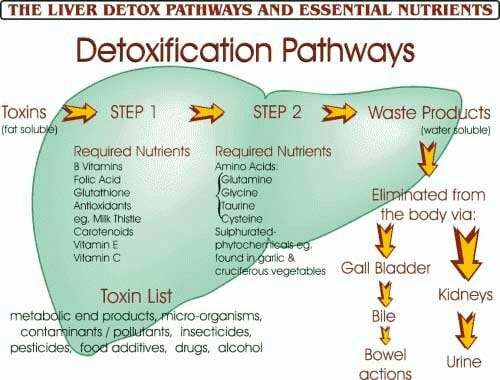 So if the liver and kidney are so amazing at their jobs, why should we watch toxins go into our system? Well, have you ever seen scare propaganda that people use to stop alcoholics from taking more alcohol? You know the images of degenerated livers? That’s because alcohol is a toxin that gets metabolised by the liver to be excreted. The more alcohol you put in, the more harder and damaged the liver gets. Imagine putting red diesel into your vehicle. It works, for now and then pretty soon, all the components get so worn and damaged that your car will pack in. The same applies to your liver which is why it’s important to take a moment to think about what toxins your are putting into your system. A lot of choline is good for you. My first week as a beginner on the Paleo diet cleanse. Ahh, I remember the first week. Armed with a bathroom mirror full of post it notes and a head full of ideas and goals. I was ready to rock and roll. I did my research and stocked my pantry full of Paleo approved foods and threw out all the junk from my life. I was so excited and pumped for this. Now I started the Paleo diet extremely positive and happy. Now there are others on the other end of the spectrum. For example Carl (a friend of mine) was really apprehensive, he was too used to his bagel and latte and didn’t know how he could cope without it. All this change was a bit too much. My advice to you is that this is completely normal, you will go through both these types of feelings as you go along. Carl and I felt this on alternating days. There were days when Carl would ring to tell me that he was really loving it and there were days when I was sobbing down the phone. Change is scary. But change can also be good. This week is critical as this is when your body will start to feel the effects of withdrawal from sugar and simple carbohydrates. If you have been consuming a lot of sugar and simple carbs, your body would have been used to quick sources of energy. Once you take that away you will experience low energy, carb flu, crankiness and you may even get a few spots on your face. Don’t fret, this is completely normal and you are taking steps in the right direction so don’t give up now. This week is so crucial and once you get past it, you will start to reap the benefits. Like I tell everyone who bothers to listen,I would recommend planning out everything and setting habits that will set you up for success. Here’s a few things I would recommend and its worked for me. Get rid of all no Paleo items from your house so that you don’t get tempted and lose focus. Since you need to make friends with vegetables and fruit, why not plan to make this fun by having a vegetable that you have never had before? Since you have to ditch your takeaway menus, why not buy some brand spanking new kitchen equipment as you will be cooking a whole lot more. Problems that you will face during the beginning of the Paleo diet. Sugar cravings will be the most difficult hurdle you will face especially if you are used to consuming loads. A lot of people fail here and it would be a shame if you have come this far only to give in to the sugar demon. What’s helped me in the past is a handful of coconut flakes, handful of nuts or some olives are great to keep these at bay. From experience after being on the Paleo diet for 18 months now (October 2015), I have never felt better. I am always full of energy and don’t need a lot of sleep which means I can do more with my life. It wasn’t always like this though, going back a few years, it was really hard at the start as your body starts getting used to the Paleo diet and the new changes in our body. I experienced a lot of fatigue and needed more sleep than usual so I would prepare for this. The third and final biggest problem I remember facing was constant hunger pangs. The best thing about the Paleo diet is that you can give in to these hunger pangs and eat Paleo approved foods which I will lay out for you in a different article (this is becoming a massive article :)). These hunger pangs when you begin your Paleo diet is because your body is used to easy energy from simple carbs and sugar so when it has to work hard to derive energy from the foods allowed on the Paleo diet, it takes a bit of time getting used to this. I satisfied my cravings with a Paleo approved protein bar. Now on to the second week. Congratulations for making it this far. I promise you, you are well on your way to a new, healthier and happier you. This is the week where I was a bit less excited as I was slowly getting into the routine of living a Paleo lifestyle. This week is still critical as although you are getting into the swing of things, you still can’t call the Paleo lifestyle a habit yet. Still a bit more needed but you will get there. You’ve come this far. In my experience, once you make it to the second week, the dropout rate is fairly low as this is when you start seeing some really good benefits of detoxing your system and beginning the Paleo diet journey. This is when your energy levels start levelling off, you get a lot of deep quality sleep that will make you feel amazing and best of all, your workouts feel more energised, you get a feeling that you can take on the world! I used to have bad acne, and this started clearing up in the second week. Like I said before, there’s plenty more good things coming your way, just keep at it. Your body is healing. What happens inside during the second week? This is when the body depletes its sugar reserves and now needs a new source of energy. Fat becomes the new source of energy and your body starts burning this. This is great news and I started developing my six packs, losing my manboobs and love handles. No matter how bad your sugar cravings are, do not give in. Your body has become a fat burning machine and I would keep it like this to feel the best you have ever felt before. I had this amazing energised feeling. I started waking up bright and breezy and no snooze button for me (I wake up at 4 am everyday) and I have never felt better. I experienced an amazing mood. My wife, my kids, my coworkers and even my clients started noticing this. This is a result of the Paleo diet which helps you maintain stable blood sugar levels which does not cause nasty peaks and troughs which lead to mood swings. The initial digestive problems I had when in week one started to disappear (to mine and my wife’s relief, as I was farting all the time). This was a sign that my body was getting used to the new nutrition and my Paleo diet lifestyle. I had to change my whole wardrobe. All my clothes were now too big and there’s only so many new holes you can make in a belt and you can only bunch your trousers for so long before you just start to look weird. I felt like one of those guys on late night tv flogging some magic bullet weight loss product. You need buddies. I am not saying force your poor wife to do this with you, in fact, that’s a bad idea. I would recommend finding someone either online or physical who shares the same passion as you and that is a Paleo diet beginner. I started trying new recipes. It is quite easy to get bored if you start eating the same stud week in week out. So take this opportunity to try out some new recipes. Make sure that these are Paleo compliant. Check out some ideas on the Paleo foods list article. Celebrate every win. What worked for me was a trip to Paris as a little treat for myself. It can be anything but I would recommend something that is not necessarily food related just to take the focus away from food aspect of the Paleo diet. Week three for me was a very powerful week. I felt good. I felt in control. I had my cravings under control, I didn’t need to feed the sugar demon inside of me, in fact, didn’t hear from the sugar demon for a while now. I had got into a great routine. I was loving life and I was already planning out long term goals after I finish my 30 day Paleo cleanse. It’s funny just to think that 2 weeks ago, I was crying over a chocolate bar and here I was planning my 6 month and year goals. Although I felt invincible, I did have a few cravings creep up, it’s important not to get fazed by this, this is completely normal and his soldier on. You are nearly there. Your body is now more of a fat burning machine. Your energy levels are more stable and you are not a moody cow as you don’t subject yourself to spikes in blood sugar causing mood swings. Optimistic approach to life. I felt a great sense of achievement and pride plus as my blood sugar levels weren’t going to the extremes, I felt at a constant mood throughout. Even my wife state commenting on how much better I was as a person ever since I began the Paleo diet. I felt getting less and less hungry as I was consuming more nutrient dense food and the best thing is that protein takes longer to digest. I felt like a machine. Was pumping out workouts left, right and centre with no aches and pains and better recovery rates. I was in the best shape of my life. The third week on the Paleo cleanse is what I call your week of empowerment. This is the week where you feel powerful and you will feel the need to get more people to join your movement. My advice here is don’t. It’s easy to start becoming a know it all (like guys who do crossfit). People will start to notice you and will come to you if they want advice. People will start noticing how good you look, how energetic and positive you are and will come to you asking for the magic billet. Simply lead by example and avoid being a know it all and try to recruit everyone. Take the time to plan a lavish Paleo diet party because in about a week, you would have completed the Paleo cleanse and detoxed your body. Celebrate the challenges you have overcome and the mental and physical strength that you would have gained. On a side note, I have had some clients not feel the positive effects of the Paleo diet in week 3. This could be due to a number of reasons mainly, if you are or have been obese, diabetes, alcohol abuse or thyroid disorders just to name a few. In these cases, the Paleo cleanse takes a bit longer and you may have you extend it by 1 to 3 weeks. I know this isn’t what you want to read but through experience, this does happen. In any case, this is worth it and you owe it to yourself and your body to lead and live the life you deserve. Congratulations, you’ve nearly made it! Just one week to go. At this point on top of being extremely proud I was also a bit nervous and anxious. What next? I have had clients get past this point, complete the Paleo cleanse and then get back to their old ways. Why did they do this? I don’t know but I am guessing they needed to keep having goals and a sense of direction so what you do after the Paleo cleanse is upto you. What worked for me was I had extended goals, a 6 month plan and a yearly plan. After the Paleo cleanse, your body will be healed and cleaned of all the years and years of toxins that have accumulated in your system. You are now free to not be a perfect Paleo and can afford to deceive slightly but not too much. In the fourth week. Your body is as it should be. Your insulin levels are perfectly in tune with your diet. Rising and falling only when needed. Your blood sugar levels are consistent. Your energy and mood is stable and you feel amazing because you just get the best sleep in the world. Ever! I found myself admiring myself more in the mirror. Vain I know, but I couldn’t help it. I was in the best shape I had ever been in. Planning ahead of the Paleo cleanse week four. At this point I would recommend planning out a perfect sustainable meal plan. Varied enough so you don’t get bored and simple enough so that it’s easy to execute. The trick is getting this balance right. I then shortlisted all my favourite restaurants. Downloaded their menus and planned out what I would order from there in line with clean eating. This way I wouldn’t make rash decisions when I am hungry and looking at a menu. Trust me, this has happened to me a lot of times. My journal was the most important weapon in my armoury as whenever I felt low or down, I just look through my journal and look through all the struggles and challenges I have overcome to get to where I am and then I am happy. Congratulations on making it this far. That’s week 4 completed on The Paleo Cleanse. Thank you so much for reading. I am so sorry this has been such a long article, I mutually planned this to be about 1000 words but it ended up a whopping 3600 words.